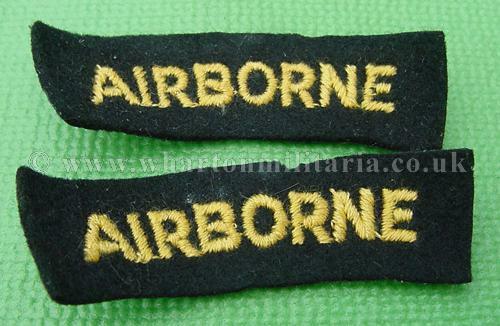 WW2 US Airborne tabs, English made Airborne tabs in very good condition. 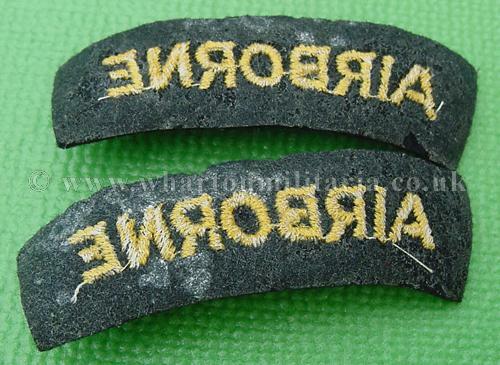 This type is normally associated with the B-3 "Ugly Head" type 101st patch. Good condition for age.